A. In (or near) Tampa, Florida. A. 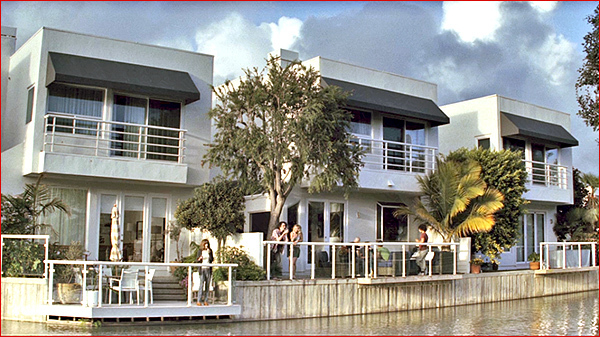 This upscale condo is where Julia Roberts' character, Heidi Bergman, lives with her boyfriend, Anthony ( Dermot Mulroney ), during her time at the Homecoming facility (up until May of 2018). 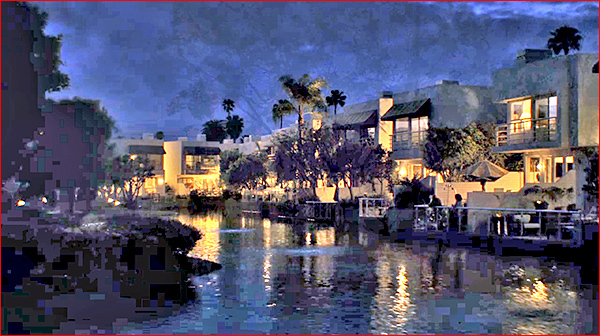 We first see it in Episode 1 ("Mandatory"), at 12:21, when we see a nighttime shot of the seaside condos/apartments. 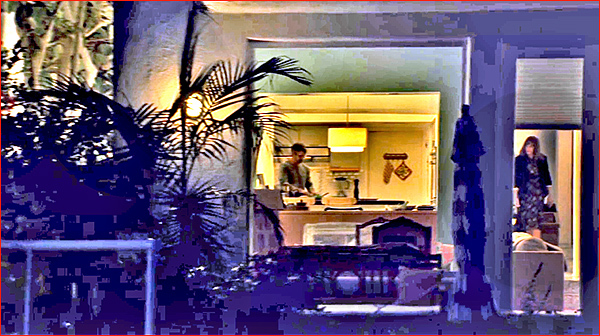 We see the condo again in Episode 3 ("Optics"), at 19:32, when Heidi is outside, talking on the phone to Colin (while he's at the birthday party). A. A condo, but nowhere near Florida. A. 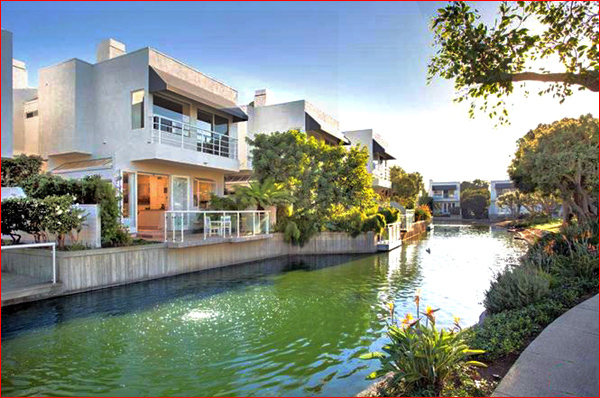 This condo is located about midway between Marina del Rey and the Venice canals, at 690 Harbor Street, in Venice, California. 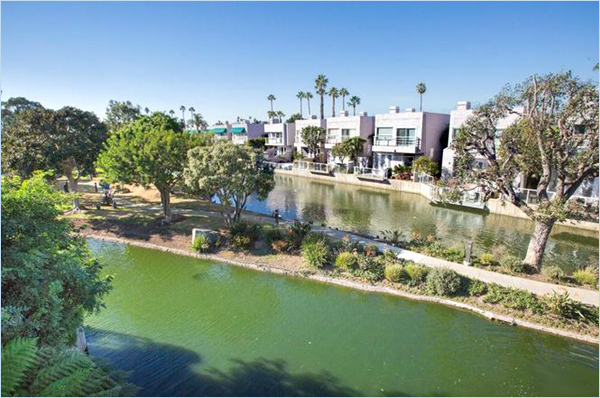 It's part of an upscale project, a gated community of 54 condos, named the Del Rey Colony, surrounding a man-made lagoon, where (as of 2019) one of these condo units will set you back about $2 million. The condos were built back in 1986, on what was then considered an unusable tract of property, in an otherwise very valuable part of west Los Angeles. The vacant lot, at the time, had been zoned for use as an emergency runoff reservoir in case of flooding. But the clever developers managed to get around that by creating a man-made lagoon in the center of the project, which not only provides a cool seaside ambience, but which can also work in a pinch as an emergency basin to temporarily store excess water in the event of flooding. 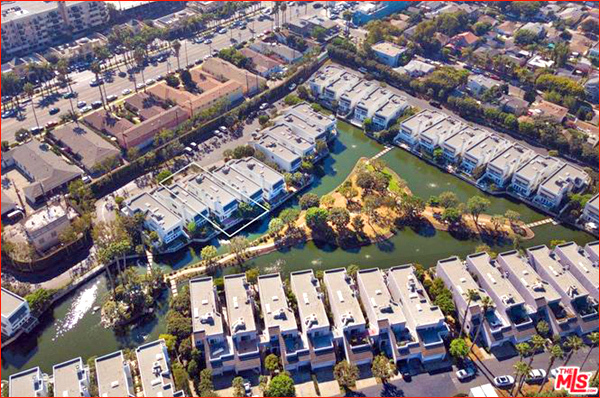 And just like that, what was supposed to be useless land became very hot property in the chic Marina del Rey / Venice area. You can read more about the early development in this 1986 article. And you can watch a video of the community here. 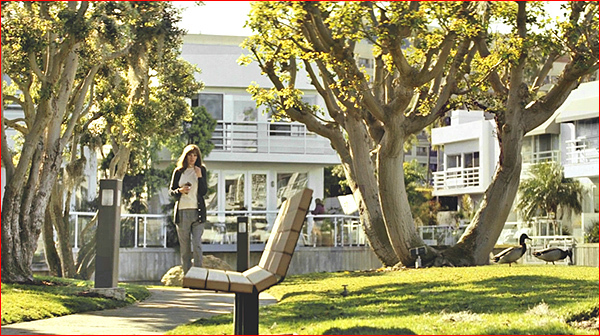 A. Amazon used this very same condo community for filming its other hit series, "Transparent", starring Jeffrey Tambor, where it plays the role of Shelly Pfefferman's ( Judith Light's) Marina Del Rey condo. That location fact was mentioned (along with the street address) in this article from the L.A. Times. I had read that article, and had watched a couple of episodes of "Transparent", but I never got around to doing its locations. But when it popped up again here, on "Homecoming", I recognized it.